The class will be Tuesday, July 16 - Thursday, July 18 from 8:30 a.m. - 4 p.m. Friday, July 19 class will run from 8 a.m. - noon. 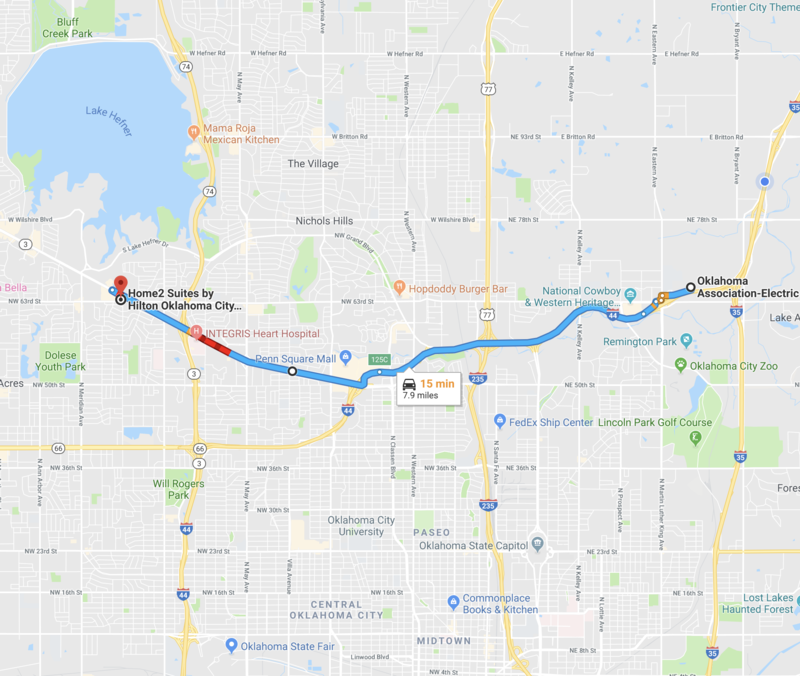 A block of rooms has been reserved at the rate of $89/night and includes breakfast at Home2, 4110 Northwest Expressway, OKC. The number for the hotel is 405-608-6094. Cost of this class is $1395.00 and is non-refundable. Deadline for registration is July 2, 2019. Will be provided on Tuesday, Wednesday and Thursday. Click map image below for directions to and from the hotel. Registration fees will be assessed after the conference and, as always, will be kept low as possible. These fees are to cover the actual expenses of the conference only. Deadline for registration is January 31, 2019. After deadline, $100 late fee will apply.